For anyone who needs a reminder, in the 2008 presidential campaign, Obama's Farrakhan connection caused a quite a stir. As Richard Cohen wrote to Americans in his important 2008 column, despite Farrakhan's virulent anti-Semitism ("Hitler was a very great man"), Obama belongs to a church which described Farrakhan as a man who "truly epitomized greatness". In 2007, the head of Obama's Trinity United Church, Reverand Jeremiah Wright, awarded Farrakhan the Empowerment award. 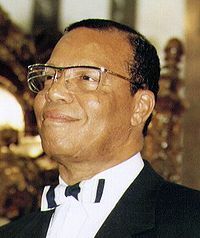 Farrakhan has also lectured at the church on several occasions, and Wright has called him "one of the most important voices in the 20th and 21st century". Somehow, America let this blow over and elected Obama anyway. After Obama was elected, Farrrakhan said that God's divine plan for the world explains why Obama won. Farrakhan was the first to celebrate, having kept quiet during the campaign so as not to mar Obama's image further. In 2008 Farrakhan said that when Obama talks "the Messiah is absolutely speaking." Farrakhan wasn't the only radical nut to celebrate. To the terror of his advisors, Obama was praised in Qaddafi's 2009 UN speech, where Qaddafi referred to Obama as a "black African Kenyan" and said: "We are content and happy if Obama can stay forever as president of America. "At a speech in Libya, Qaddafi said: “Now, ruling America is a black man from our continent, an African from Arab descent, from Muslim descent, and this is something we never imagined – that from Reagan we would get to Barakeh Obama.” Qaddafi said Obama "knows he is a son of Africa. Regardless of his African belonging, he is of Arab Sudanese descent, or of Muslim descent." In 1985, Farrakhan received a $5 million interest free loan from Qaddafi. In 1996, Libyan news reported that Farrakhan and Qaddafi agreed to work together in order to liberate “oppressed blacks, Arabs, Muslims and Red Indians". On his struggle before connecting with Farrakha, Qaddafi said: “our confrontation with America was like a fight against a fortress from outside.” Farrakhan has traveled to Libya on several times, and in 1996 was awarded the Gadhafi Human Rights Award (lo aleinu!). To be clear, Farrakhan's loyalties ultimately lie with the Libyan people, even more than with Qaddafi. In his speech on Sunday, Farrakhan also called to halt violence against the protesters, a clear attack on Qaddafi. For Farakhan, protests in the Arab world are the sign of a turning of a new page, a new page which will reach the U.S. as well. If all the protests were about were democratic reforms, what would it mean that they will soon reach the U.S.? Protests in the Arab world, while they may carry the good wishes of basic economic and political rights which have been denied for years, are inseparable from two key movements: Marxism and Islamism, which together translate into the dream for a new world order to liberate the weak, led by the resurgence of modernity's favorite victim: Islam. The British radical Muslim cleric Anjem Choudary said on Sunday that U.S. President Barack Obama must embrace Islam as a way of life or face the consequences of a trial under the Shariah Islamic court system. Many have said Obama's presidency and protests in the Arab world mark the "turning of a new page". Only now are we able to conceive what only in our wildest dreams the two could have to do with each other: Islam revolution, soon by you, in the U.S., and beyond. The former Libyan Justice Minister Mustafa Abdel Galil told Al-Jazeera that Qaddafi has chemical and biological weapons in his possession, and that he will not hesitate to use them against citizens, particularly in the case of securing control of Tripoli. 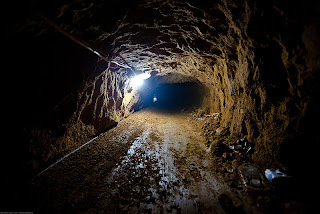 According to a Wall Street Journal report, Qaddafi has caches of mustard gas and chemical weapons, Scud B missiles and 1,000 metric tons of uranium yellowcake. Galil, who quit his post several days ago following the outbreak of violence, voiced a warning to the world: "At the end when he's really pressured, he can do anything. I think Gaddafi will burn everything left behind him." Galil cited the fight over Tripoli as a case in which the danger of biological or chemical warfare was particularly acute. On Thursday, anti-regime protesters secured cities near the capital yesterday and were heading for Tripoli. In response the army has been moving soldiers into the capital all morning. According to this video, demonstrators have taken a government building. The world's eyes are now on Tripoli. NATO has just scheduled an emergency meeting for Friday afternoon in the wake of Libyan government violence. As I've said, Qaddafi is not Mubarak. There's no limit to how bad this could get. The international community is well-advised to intervene NOW. 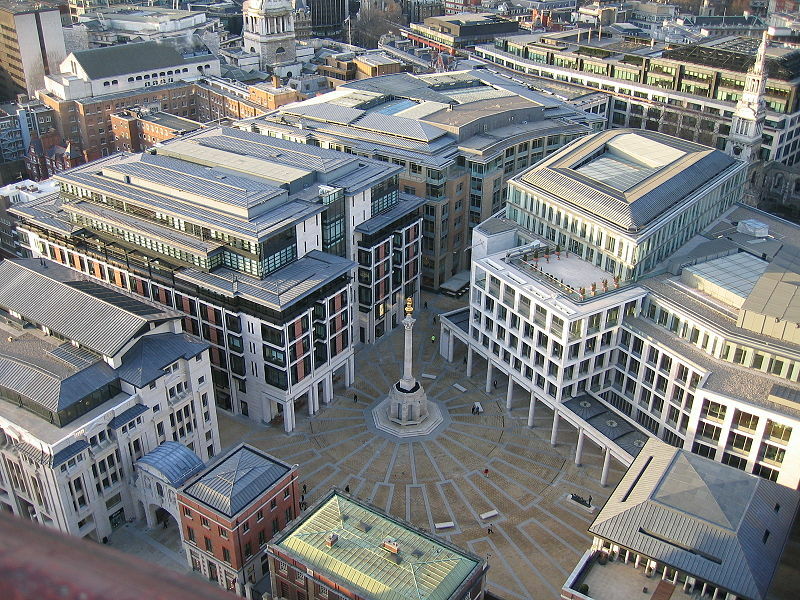 According to Market Watch, the London Stock Exchange announced early on Friday that trading on its main platform was halted due to a technical problem. On Tuesday, Borsa Italiana was forced to suspend trading for most of Tuesday due to technical difficulties. According to YNet, the US Institute for Science and International Security has discovered 4 additional nuclear sites in Syria aside from the one Israel bombed in 2007. 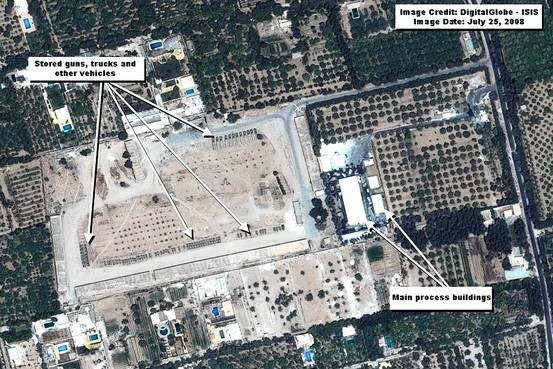 The ISIS report encourages the IAEA to "clearly conclude that that Syria may have egregiously violated its safeguards agreement and call for a special inspection of these four sites." The Wall Street Journal predicts the report will lead to increased pressure on Syria at the upcoming IAEA board meeting in March. Considering this new information, Syria's rejection to allow inspectors could result in Syria being declared noncompliant to UN standards and subjected to formal censuring by the UN Security Council. How, in this situation, can the Obama/the UN/Europe/the world/Israel sit back and permit nuclear-aspiring rogue Iran to sail freely to nuclear-aspiring rogue Syria, with no inspection of cargo by any international or national entity? 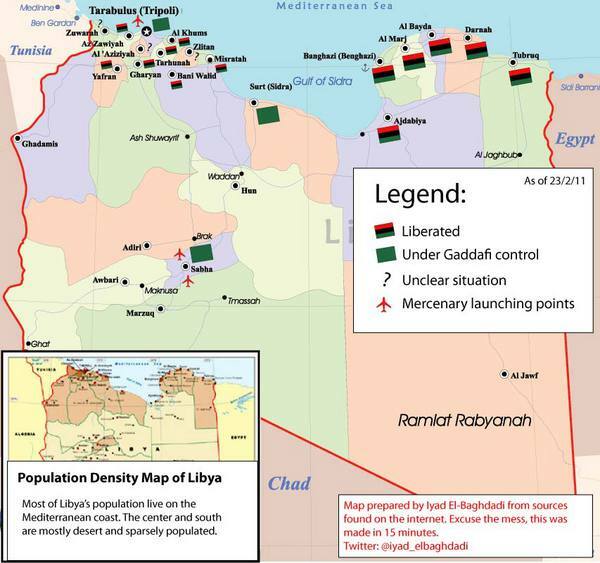 Libyan rebels have taken control of more Libyan cities and are approaching Tripoli. Thousands are said to be dead. US, Britain and Turkey are evacuating their citizens by boat. Meanwhile, Al-Qaeda's North Africa branch published a statement in support of the Libyan uprising: "(We) will do whatever we can to help you, because your fight is the fight of every Muslim who loves Allah and His Messenger." The United States also strongly supports the universal rights of the Libyan people. That includes the rights of peaceful assembly, free speech, and the ability of the Libyan people to determine their own destiny. These are human rights. They are not negotiable. They must be respected in every country. And they cannot be denied through violence or suppression. Like all governments, the Libyan government has a responsibility to refrain from violence, to allow humanitarian assistance to reach those in need, and to respect the rights of its people. It must be held accountable for its failure to meet those responsibilities, and face the cost of continued violations of human rights. Let's hope the US takes the same stance on human rights towards Iran, Hamas, the Muslim Brotherhood and radical Islam in all its forms worldwide. Egypt's Foreign Minister, Ahmed Aboul-Gheit, confirmed on Wednesday the reports that there had been an assassination attempt on Vice President Omar Suleiman two weeks ago. During a television interview, Aboul-Gheit said in that he himself had witnessed the shooting towards Suleiman as he made his way to a government meeting. In those days, when Mordechai was sitting in the king's gate, Bigtan and Teresh, two of the king's chamberlains, of the guards of the threshold, became angry and sought to lay a hand on King Ahasuerus. And the matter became known to Mordecai, and he told Queen Esther, and Esther told the king in Mordechai's name. And the matter was investigated and found to be so, and they were both hanged on a gallows, and it was written in the diary before the king. The Iranian ships are not coming for no reason. They're ocming to check if, in truth, Tzahal is strong and alert like it's told about Tzahal in the world. They want to see the strength and response of Tzahal. If they (Iranians) were bringing rockets or explosives or weapons to Hamas or Hezbollah we would have probably acted against them, but they are just coming – with weapons on them – but they are coming with navy cadets to visit a Syrian port; it's a way of projecting not power but self-confidence and certain assertiveness in the region. Wednesday 23:00 Iranian warships have reached Syria. The Iranian Navy Commander is also scheduled to arrive in Syria. Wednesday 2:30 According to the WSJ, Israeli media said the navy would track the Iranian ships but not confront them as they moved north. Iran's official news channel quoted the deputy commander of the army: "The world should know that the presence of Iranian warships in the Suez Canal has taken place…through the deep guidance of the Supreme Leader [Ayatollah Ali Khamenei]"
Deputy Prime Minister Moshe Yaalon said: "It certainly doesn't bode well," and: "These two ships are not an immediate threat." Wednesday 0:30 According to UPI, Israel's announcement on Tuesday that it successfully tested its Arrow anti-ballistic weapon may have been intended a timely demonstration of its military might as Iranian warships deploy in the Mediterranean. 19:00 Tuesday Canal officials have reported that the two warships finished their journey through the Suez Canal at 16:00 today and are now in the Mediterranean. We see it [the passage of the Iranian ships through Suez] as something that shouldn't have happened, but if it's happened we shouldn't blow it up beyond it's real weight. And probably they stopped. The last report is that they stopped before entering the canal probably didn't get the approvals and probably they will come back in few days. 3) Both the NYT and Barak's team are politically motivated, each for their own reasons, in sidelining Lieberman, a hawkish figure on the Israeli political scene (read: the only person in the government who states things as they are to the world, and leaves kissing-up to all the others), who alluded last week to a possible Israeli strike. If Barak lets these ships through, it could be a setback for Israel, from the perspective of regional power dynamics (in a sense, this is even more the case after Lieberman said what he said). And in the Middle East, unfortunately, many events hinge on a perceived weakening (or strengthening) of Israel. 5:45 Tuesday According to BBC, canal officials have reported that two Iranian warships have entered the Suez Canal to make a passage to the Mediterranean Sea.They entered the canal at 5:45am Jerusalem/Cairo time (0345 GMT). Rashi: 'I shall be filled with her that is laid waste' this verse (Ezekiel 26:2) begins with 'Tzor said to Jerusalem...I will become full from her destruction' and Tzor is from Edom. According to Rabbi Avraham Yehoshua Greenbaum, on the pshat level, the Tzor from the verse in Ezekiel that capitalizes on Jerusalem's destruction refers to the Lebanese city of Tyre, the center of maritime trade in the Mediterranean (note the passage of Iranian warships this week through the present-day centers of Mediterranean trade). However, according to Rabbi Eliezer, "every place in the Bible where tzor is spelled chaser (i.e. without the vav, i.e. tzr instead of tzr), it refers to Edom." (Tanchuma Va-Era ch. 13) Without the vav, Tzar means oppressor, or Rome, which became present-day Western civilization, while the root tzor with a vav means to create, as in the center of trade. On the pshat level, "Aha! I shall be filled with her that is laid waste" refers to the destruction of Tyre in the hands of Nebuchadnezzar. However, according to the rabbinic interpretation of the verse in Pesachim and Megillah, the verse refers to Rome's glee at the destruction of Jerusalem and the downfall of Israel. Hashem does not forget; because Rome used Israel's destruction for its own advantage, history will proceed according to the dialectic tension between Rome and Jerusalem. The question now is who will take hold of the eastern oil-rich parts of the country, which could be used as ransom by tribes against Qaddafi, or by Qaddafi against his people via Europe. On Sunday, the leader of the eastern Al-Zuwaya tribe turned against Qaddafi and threatened to cut oil exports unless there was an end to violence against protestors. Today, Al-Arabiya TV reported that Tuareg tribes took over an oil company's headquarters of in Ubari in Southwest Libya. Egypt is already taking somewhat of a stand in the conflict by opening its border Libyan refugees. Might Egyptian forces go a step further, as they did in 1975, and intervene in solidarity with the Libyan people--and in their own economic interest--to take control of oil reserves in adjacent Eastern Libya? Would they have US backing, or perhaps even a US invitation? If successful revolutionaries in Egypt, Libya and Tunisia join forces and consolidate control of all of Northern Africa oil as well as Suez, the key Eurasian waterway which carries 2.5% of the world's oil and 8% of world trade? Who would be in charge of oil wealth in a North-African populist-Islamist alliance? Hopefully not this guy. It's a better time than ever to find alternative energy resources - physically and spiritually. While mass animal deaths made headlines around the world during the first few weeks of 2011, the second month of the year was dominated not by stories of birds and fish but by widespread unprecedented political upheaval throughout the Middle East, and most recently, the recent devastating earthquake in New Zealand. Yet this week animal deaths are back: In recent weeks, 28 dead baby dolphins have mysteriously washed ashore in Alabama and Mississippi. 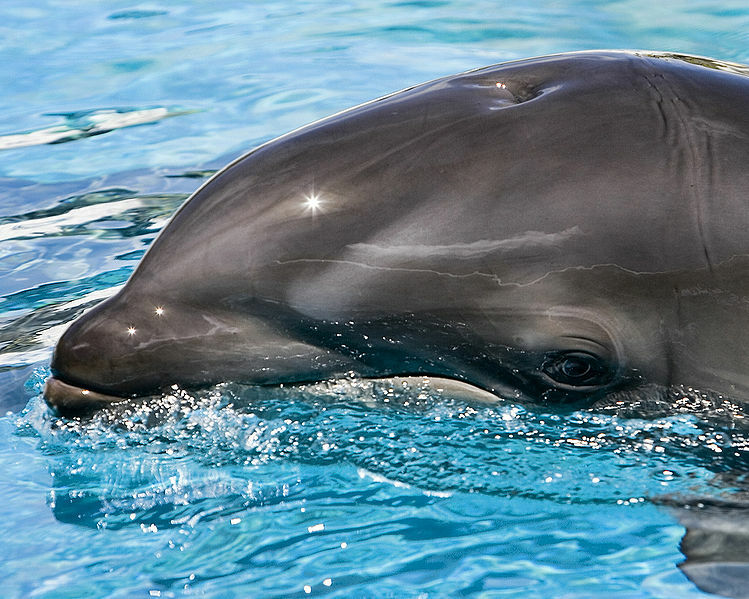 Dolphins are highly sophisticated and sensitive mammals, with a level of cerebral cortex development and sophistication is parallel only to humans. When mass animal deaths were occurring around the world, one explanation was given that animals, highly sensitive and attuned to various frequencies, are crying out and giving up, en masse, indicative of a period right before a global paradigm shift, when tensions run high and there are no solutions yet. Suicide among animals is a rare phenomenon, although in the past, it has figured into theories involving one mammal in particular - dolphins. Several years ago one expert attributed the sudden deaths of 26 dolphins to suicidal behavior among the group. Are the most sensitive and attuned animals giving up, or sending some kind of message? ...It's a beautiful, sunny day in the middle of winter in Jerusalem! The earthquake caused 30 million tons of ice to fall from New Zealand's largest glacier, 120 miles from Christchurch. Twelve-foot-high waves swept up and down the lake for 30 minutes. The two aftershocks – one magnitude 5.6 and another 5.5 – shook Christchurch within hours of the initial 6.3 earthquake. The aftermath caused buildings to crumble, including the 130-year-old Christchurch Cathedral. Its spire toppled into the city square. "To see the top of the cathedral come down, I've never seen anything like it. There's just no words to be quite honest, it was just absolutely awful," said one survivor. ...Newspaper editor Andrew Holden said he heard glass cracking and falling throughout the building, clouds of dust billowing through the newsroom. "The roof above the main staircase collapsed so there was a fair bit of rubble down the staircase," Holden said, in an interview with Radio New Zealand. "We've had some good size shocks before but when you've got a quake of that size that just continues on and on." Tuesday 11:00 According to Israel's Foreign Ministry, there are approximately another 150-200 Israeli tourists who were in city where the quake took place. Unfortunately, many Israelis flocked to the area recently to attend a festival that took place there over the last several days, according to YNet. Many Israelis have already been evacuated to adjacent parks far away from unstable buildings. According to Chabad.org, the earthquake in New Zealand has toppled the city's central Chabad center. The center's director, Rabbi Shmuel Friedman, reported that they were inside the building when the quake hit, but that everyone ran out as it was falling down, and B"H everyone is okay! Rabbi Friedman said that when the quake happened there were not very many people in the Chabad house, and that is was a miracle that it happened when it did. On Friday night, there were more than 100 people inside. "Through a miracle we got out of there," he said to YNet, "Everything is destroyed." Rabbi Friedman also reported that the entire city is destroyed, and that there is almost no building standing. Magen David Adom has offered to send a team to New Zealand to assist in removing people stuck under buildings in the earthquake zone. It would be a simpler mission than the Haiti mission, since New Zealand is a developed country with adequate medical facilities. The New Zealand government has thanked MDA for its offer and will respond after it has a more accurate assessment of its needs (If I were them, I'd say yes to Israel right away. They know how to do this). To make a donation to the New Zealand Chabad, click here. The Egyptian military is reinforcing the Egyptian-Libyan with its own guards, after Libyan border guards withdrew from the Egyptian-Libyan border, as reported on the Libyan army's Facebook page. Egyptian reinforcement is intended to both protect violent spillover into Egypt, as well as to ensure that the border remains open, now 24 hours a day, to allow the sick and injured to enter. The Salum passage, the main crossing on the coast between Egypt and Libya, had previously been open only for a few hours a day. A military source said the military council had decided to "reinforce the borders with border guards to secure the Egyptian border with Libya and will open the Salum passage throughout the day for medical conditions and those stuck." In 1977, a short border war ensued between Libya and Egypt. After the Yom Kippur War of 1973, Qaddafi fiercely opposed Sadat's peace policy with Israel, and the two countries split on their relationship with Moscow. Furthermore, in 1975, Egypt gave assistance to the attempted Qaddafi coup staged by the Revolutionary Command Council, whose motto was "freedom, socialism and unity", and which sought an active role in the "Palestinian cause". In 1976, Egypt claimed to have discovered a Libyan plot to overthrow the Egyptian regime. Later that year, a bomb exploded in a Tahrir Square government office, which Egyptian government officials and media blamed on Libyan agents. Throughout 1976, Egypt concentrated troops on the Libyan border, backed by the US. 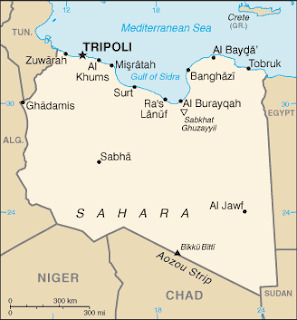 International assessements predicted Sadat would attack Libya in an attempt to overthrow Qaddafi. In 1977, demonstrators in each country attacked each others' embassies. In June 1977, Qaddafi ordered the 200,000+ Egyptians in Libya to leave in one month's time. The direct war occurred for several days along the Egyptian-Libyan border. Read more about the war here. After the war, Arab governments sided with Egypt, while pro-Soviet and leftist states sided with Qaddafi. In the New York Times, a Palestinian wrote after the Egyptian-Libyan war: ""If the Arabs haven't got Israel to fight, they will be fighting each other." Is that what is happening today? This is bound to get interesting - Egyptian leadership, against which the people rebelled, has always been anti-Qaddafi. Yet the Egyptian people are likely to feel a solidarity with the Libyan people. This means everyone in Egypt is eager to see Qaddafi gone. The open border is already somewhat of a statement in favor of the protests. Will Egypt get further involved? In the wake of a 5.9 Earthquake that hit the geopolitical and economic epicenter that is the Suez Canal, now New Zealand has been hit by devastating and fatal earthquake in urban areas. UPDATE: According to Chabad.org, the earthquake in New Zealand has toppled the city's central Chabad center. The center's director, Rabbi Shmuel Friedman, reported that they were inside the building when the quake hit, but that everyone ran out as it was falling down, and B"H everyone is okay! Yesterday I posted some comments on the meaning of earthquakes. Today I want to add one more source: The Maharal teaches that earthquakes are a wake-up sign for the world, a sign that Hashem is about to intervene, in a big and revealed way. This makes sense [asks Maharal] after the destruction [of the Temple], but earthquakes existed always, even before the destruction. The Holy One, blessed be He, also created another system within the system of natural order, like a wheel within a wheel, powered by the will of the Jewish People. 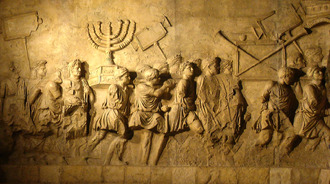 When they choose to obey Hashem and fulfill His Torah and His mitzvot, the system is affected by their service and the timetable is altered...'There is a time for every thing…a time to cast stones' – when Hadrian arose…to smash the stones of the Temple – 'and a time to gather in stones' – when it will be rebuilt by the Holy One, blessed be He [Devarim Rabba 3:13 citing Kohelet 3:5]. From all this, we learn that the Creator has a timetable for history from the six days of creation until the end of the world and its people, yet He structured it to be affected by human choices. 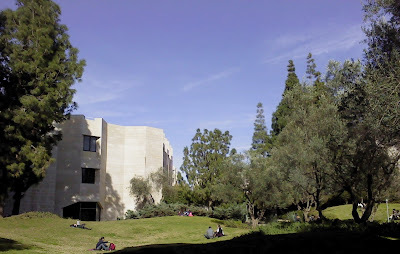 For example, if Adam Ha-rishon had withstood his test and had not eaten form the forbidden tree, then all the worlds would have attained their perfection and we would not have required all the exiles and all the sufferings that make up out past… But since that did not happen, the timetable remained in effect and all that has transpired followed. Moamar Qaddafi's Jewish grandmother married a Muslim sheikh during her second marriage. The daughter this Jewish woman and Muslim man had is Qaddafi's mother. This family tree was reported by Qaddafi's Jewish relatives (as they tell it) on a fascinating Channel 2 segment (in Hebrew). Qaddafi's mother, the daughter of the Jewish-Muslim marriage, is the great aunt of the woman who appeared on TV. Professor Judith Ronen, an expert on Libyan affairs on Bar Ilan University, who was also interviewed in the segment, says that there is no official documentation for this claim, although that does not mean it is not true. Does this mean Qaddafi can make aliyah? I say only if he does some MAJOR teshuva. At 3 a.m. on Monday morning, a 5.9 earthquake hit the Suez Canal entry and surrounding areas, 48 hours before two Iranian ships are expected to transit the canal to the Mediterranean. The quake lasted for a half hour and caused no damage. Originally, the ships were going to pass through the Canal Monday morning. Now, the ships are scheduled to make the passage early Tuesday morning. The Suez Canal is the modern-day body of water that connects the Red Sea with the Mediterranean Sea. It is the strategic and economic asset in the region. All of Israel's wars have involved economic or military threats via Suez. Iran's warships are carrying missiles to Syria, but their more significant goal is to take advantage of turmoil in the Middle East to stage a display of power and influence in the region by navigating the various bodies of water unencumbered. If Iran can sail freely through the Mediterranean and deliver weapons to Israel's northern enemies, it might as well be crowned King of the Middle East. In this highly tense situation, what is the significance of an earthquake, hours before Iran's attempted ascent? In Ezekiel, a large earthquake in Israel is predicted during the war of Gog and Magog. Many have theorized that Iran is the prime aggressor in this apocalyptic war, having made no secret of its stride against Israel. According to one interpretation, the Splitting of the Red Sea, the miracle by which the Israelites crossed from Egypt to the Sinai desert to receive the Torah and proceed to the Promised Land, was in fact a tidal earthquake. In 1068, an earthquake in Ramla, Israel was documented in Jewish historical texts as causing water to disappear entirely from the River Jordan, while the Mediterranean "turned to land for two days". Interestingly enough, the earthquake this morning occurred in the Suez Canal, which is the body of water which connects the Red Sea to the Mediterranean Sea, or the sphere of Egypt's influence to the sphere of Israel's influence, which could be seen as a modern-day parallel to the Exodus route. In Greek thought and polytheistic belief, earthquakes are related to the rage of the gods against humans. In Jewish thought, earthquakes are directly related to moral behavior of human beings. In the Jerusalem Talmud (Berachot 64a), earthquakes are understood as divine retribution for sins of failing to adequately fulfill the commandments associated with living in the Land of Israel, such as tithing, for building mass entertainment hubs on the background of the destruction of the Temple, and for the sin of homosexuality. Furthermore, all sages agree that earthquakes are caused by fissures, divides and arguments among the Jewish people. נָפְלָה לֹא תוֹסִיף קוּם בְּתוּלַת יִשְׂרָאֵל נִטְּשָׁה עַל אַדְמָתָהּ אֵין מְקִימָהּ. In the Talmud, this verse is interpreted with a profound twist, which turns the deep fall into a deeper rise. In the opening of Masechet Brachot, Rabbi Yochanan explains that the letter Nun (נ) is missing from the acrostic Pslam 145 (Ashrei) because the verse that would have begun with Nun describes the fall of Israel's enemies, as it says in the verse: "She fell and will not rise again": In the West, he explains, this verse was interpreted by parsing the phrase differently: Rather than "She fell, will not continue to rise, Virgin of Israel", the verse is read (which works according to the Hebrew grammar) 'To fall - she will not continue. Rise, Virgin of Israel!" Rabbi Nachman Bar Yitzchak then says that King David knew this teaching by divine prophecy, as the next line he wrote begins with the words: God supports all the fallen. And this is exactly the dynamic that enables the transition from the seemingly irreparable state of downtroddenness to reattained heights. In Tikkunei Zohar, this very verse is used over and over as signaling Israel's final redemption, which will come from above, when Israel is weak from exile and has almost given up, and in need of divine intervention. In the Zohar, feet and legs are often metaphors for the Shechina, the last of the ten Divine Emanations (Sefirot) which brought this world into being. Shechina is also associated with speech, prayer and expression, which is both the Divine and human mechanism for bringing worlds into being: for God, through creation, and for humans, through prayer and study. Therefore, according to the Zohar's read, when Ruth revealed Boaz's ankles, this is a metaphor for finding a voice with which to pray, uncovering that which covers God's presence and closeness in any and every situation, and this revelation and expression is what lifts her up form the dust in which she had lay down, signifying her ultimate redemption, as alluded to by the use of the root of 'geulah' = redemption, throughout the book of Ruth. From these passages we learn that an earthquake is related to the notion of falling. Although the verse from Amos' harsh prophecy seems to paint a doomed picture for Israel, deeper interpretations reveal that it actually signals the LAST fall, the fall from which she will be raised, this time in God's hands. The impetus to the rise that will inevitably follow the fall is prayer, as described by a metaphor of revealing that which is hidden, which brings about the transition from the lying in the dust to coming under God's wings. In summary, an earthquake raises all of these associations, ultimately indicating that the current state of Israel and the Jewish people is but a vehicle for us to reach out to God and rise in an elevation after which there will be no further fall. You have touched our weak spot, King of the Kuzar. If the majority of us, as you say, would learn humility towards God and His law from our low station, Providence would not have forced us to bear it for such a long period. Only the smallest portion among us thinks thus. Yet the majority may expect a reward, because they bear their degradation partly from necessity, partly of their own free will. For whoever wishes to do so can become the friend and equal of his oppressor by uttering one word, and without any difficulty. Such conduct does not escape the just Judge. If we bear our exile and degradation for God's sake, as is meet, we shall be the pride of the generation which will come with the Messiah, and accelerate the day of the deliverance we hope for. The King: If what you say is true, surely the Jewish people have fallen short of their duty by not endeavoring to reach that place? Your founding fathers chose it as an abode in preference to their birth places, and lived there as strangers rather than as citizens in their own country. This they did at a time even before the Shechinah was visible, when the country was full of unchastity, impurity, and idolatry; nor did they leave it in times of dearth and famine except through God’s explicit permission, they even directed their bones to be buried there. Yet when Ezra and Nehemiah called the people to return home during the time of the Second Temple they simply weren’t interested in leaving the exile, how could that be? The Rabbi: Indeed your reproach is a severe one; it is in fact this lack of reaction that ultimately kept the Divine promise with regard to the Second Temple from being fulfilled. Divine Providence was ready to restore everything as it had been at first, if all of our people had willingly consented to return, but only a part was ready to do so, whilst the majority and the aristocracy remained in Babylon, preferring dependence and slavery, and unwilling to leave their houses and their affairs. Could it be that Hashem is ready to redeem us, and all we have to do is let it happen? Al-Qaradawi, a native of Egypt, has spent the last half-century in Qatar, where he is known for his hit Al Jazeera show "Shariah and Life". Al-Qaradawi is banned from the US (by Bill Clinton) and from Britain for supporting terrorist attacks in Iraq and Israel. In 2003, al-Qaradawi (y"s) told the BBC that he considered Palestinian suicide attacks evidence of God's justice. During his remarks at the Stockholm Mosque in Sweden, he called the fight against Israel a "necessary Jihad". In 2003, he issued a fatwa authorizing the use of women in suicide attacks. He is also the "spiritual advisor" for Hamas. According to INN, prior to the ban, al-Qaradawi served as trustee of the Boston Mosque, which during his time featured teachings on its website on how to beat one's wife. Today, Al-Qaradawi is a trustee of the Oxford University Center for Islamic studies, and is chairman of the Board of Trustees of Islamic American Univesrity, a subsidiary of the Muslim American Society, the overt arm of the Muslim Brotherhood in America. Al-Qaradawi also heads the most influential fatwa in Europe, the European Council for Fatwa and Research. The Western public prefers to stare googley-eyed at pictures of Arab Google Executives, supposed poster children of the Egyptian revolution, rather than stop to wonder why Tahrir Square is a place where the spiritual underpinnings of suicide bombings are enthusiastically cheered, where a female reporter was sexually abused by a 200-person mob, and where 2 million people on Friday chanted for the liberation of Jerusalem by martyrdom. What would signify al-Qaradawi's influence in coming months? Here are his demands: 1) Free political prisoners (i.e. Muslim Brotherhood and Hamas terrorists, so they can be free to resume Jew-killing), 2) Dissolve the cabinet and transfer authority to a civilian government (which the Muslim Brotherhood will inevitably rule/influence and then rule), 3) and here's the key: Open Egypt's border crossing with Gaza (to feed Hamas with Egyptian military aid in its struggle against Israel, i.e. all the missiles too big to fit into the underground smuggling tuunels). The Egypt-Gaza border had been closed since Hamas, which Mubarak opposed, had taken force of Gaza in 2007. After the flotilla incident in May 2010, when Turkish activists ambushed an IDF, leading to the death of nine Turks, Mubarak began to ease the border under international pressure. After al-Qaradawi's remarks, and weeks of Hamas-Muslim Brotherhood behind-the-scenes pressure, the announcement came: On Tuesday, Egypt is opening the Gaza border in both directions, daily. UPDATE (INN): Egyptian state television reported on Sunday that Egypt has released 108 political prisoners on the order of Prime Minister Ahmed Shafik, and that 222 prisoners would be released soon. אין לנו על מי להישען אלא על אבינו בשמים . . .
Tuesday 05:45 According to BBC, canal officials have reported that two Iranian warships have entered the Suez Canal to make a passage to the Mediterranean Sea.They entered the canal at 5:45am Jerusalem/Cairo time (0345 GMT). Monday 18:30 According to Bloomberg, the head of traffic at the Suez Canal Authority has reported that the authority has not yet received a schedule for the passage of two Iranian warships through the waterway. According to Bloomber, the Suez Canal accounts for 2.5% of world oil output and is a key route for Euroasian trade. Sunday 21:30 According to INN, a Suez Canal source said Sunday evening that the passage of two Iranian warships to the Mediterranean Sea has been postponed 48 hours (i.e. until Tuesday night). 15:00 According to DEBKA File, Cairo and Tehran are colluding to slip the Iranian warships through the Suez Canal and create confusion around the ships' permissions, location and status to deflect international criticism. The Iranian cruiser Kharg is carrying long-term missiles for Hezbollah which it plans to unload at Beriut or further north. As reported by Debka earlier, US State Department spokesman P.J Crowley said he was "highly skeptical" of the Syrian claim that the two ships' visit was for training. "If the ships move through the canal, we will evaluate what they actually do. It's not really about the ships. It's about what the ships are carrying, what's their destination, what's the cargo on board, where's it going, to whom and for what benefit." According to UN sanctions, the US and all US members are authorized to board and search Iranian ships suspected of carrying illegal weapons. 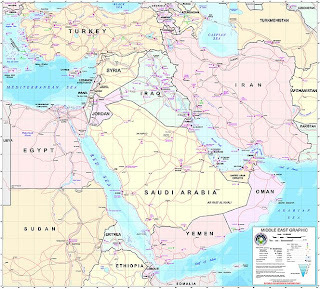 According to Debka, Iran has openly expressed its plants to expand its naval and military presence beyond the Persian Gulf and Red Sea to the Mediterranean via Suez: On February 2, Iran's Deputy Navy Commander Rear Admiral Gholam-Reza Khadem Biqam announced the flotilla's mission was to "enter the waters of the Red Sea and then be dispatched to the Mediterranean Sea." 11:11 Debka File says ships were delayed on fake pretexts to generate confusion over their movements. 21:20 Thursday: According to YNet, Egypt's Foreign Ministry has confirmed that two Iranian naval vessels have submitted a request to transit the Suez Canal. According to the Jerusalem Post, a Suez Canal official said the Defense Ministry would process the application (read: the Defense Ministry has to figure out who it currently is, whether it is more hostile to Iran or to Israel, and whether it wants a major confrontation with the World of the Free). 18:00 Thursday: According to INN, Iranian state television reported Thursday that the two Iranian warships are still heading for the Suez Canal. Senior Iranian official: "We are in contact with out colleagues in Cairo to insure the passage of the vessels. The Egyptian authorities said there is no bar to the passing of the ships." 15:00 Thursday: According to a senior canal official, the Iranian vessels have withdrew a request Thursday to pass through the Suez Canal after Israel expressed concerns over the plans. The ships are currently near the Saudi Red Sea port of Jiddah. Were the ships just a way for Iran to distract the world's attention from reports of the regime's violent suppression of democracy protests, using its favorite scapegoat, Israel? 22:00 Wednesday: The director of transit at the Suez Canal Authority said that the passage of any warship through the canal requires approval from the Egyptian ministry of Defense (um, does that currently exist??) and from Egyptian security officials (ditto) 48 hours in advance, and that no such request has been received nor granted, according to Al Jazeera. 19:00 Wednesday: Today Israeli FM Lieberman called the Iranian act a "provocation" and called for the international community to understand that "Israel will not be able to ignore these provocations forever." These comments were interpreted by many as an Israeli hint that it would retaliate, and right after Lieberman's comments went public, fears of more mideast tumult spiked oil prices worldwide. Brent crude hit a 29-month high after rising to $104.52 around noon EST. "Talks are underway to open Rafah crossing permanently after three days." Make no mistake: the opening of the Gaza-Egypt border is no small side effect of the Egyptian upheaval; Hamas and the Muslim Brotherhood have known for years that free passage of people, weapons and supplies from Egypt to Hamas is crucial in Hamas' struggle against Israel. Remember, half of Egyptians support Hamas. And if anyone still thinks Israel is marginal to the Egyptians' quest for 'democracy', you should probably watch this. The Palestinian embassy in Egypt called to open traffic in both directions for movement involving medical treatment and education. Hamas, also cited the need of "patients to travel for treatement abroad." A Hamas official confirmed negotiations were underway with Egyptian authorities to permanently open the crossing. In 2005, Israel withdrew thousands of its own citizens from the Gaza Strip and relinquished the territory to the Palestinians. In 2007, the Gaza populace elected Hamas, a terrorist organization, whose mission is the eradication of Israel. Since 2007 Israel has faced daily barrage of rockets throughout its southern region. Israel's strategy towards Hamas has been one of containment, but, according to a recent article in the LA Times, this is about to change. "Israel is the big loser in recent events...This is a new era. They should fear." "we know the West is listening to every phone call and would try to abuse that information"
Abuse? No. Use to shape non-suicidal foreign policy? Let's hope so. According to some reports, 200 people have been killed in Libya, after Qaddafi's forces opened fire freely on protestors, including at a funeral for fallen protestors from last week, making the Libyan protests the most deadly since the fall of Mubarak last week. Unlike the case of Egypt, Israel has few qualms about the fall of Qaddafi, whose foreign policy has essentially revolved around obsessive hatred of Israel. Nonetheless some have expressed fears of Arab unrest at large as fertile ground for Al-Qaeda to base themselves, posing a threat to the U.S., which might explain Obama's relative inaction after recent unrest in Bahrain, Yemen and Libya. Persia, which also features in the Purim story which Jews read and commemorate this month, is modern-day Iran, which has made no secret of its stride against Israel at any cost. Kush is Ethiopia, which is also experiencing unrest. In the book of Genesis, Put is the name of the third son of Ham, son of Noah, brother of Kush, Egypt and Canaan. Put is identified in biblical history as the father of the Libyan nation. Prance, horses, and rush madly, chariots; and let the mighty men go forth: Kush and Put, that handle the shield, and the Ludim, that handle and bend the bow. In 1969, Qaddafi led a coup against King Idris while the latter was in Turkey for medical treatment, and established the new Libyan Arab Republic. Qaddafi turned Libya into a source of funding and military aid for any who pledged to struggle against the West, such as the Black September movement, which perpetrated the Munich massacre at the 1972 Olympics. Under Reagan, who dubbed Qaddafi the 'mad dog of the Middle East', the US attempted to overthrow Qaddafi. In 2003, two Libyans were accused of planting a bomb on PanAm Flight 103. Libya's refusal of extradition led to a US policy of economic sanctions and diplomatic isolation, which has lasted until today. Okay, fine, so that was SNL. But still, it wasn't much weirder than the actual speech. In any case, Qaddafi is nuts, and no one is eager to have him stay around. The question, as always, is: What's next? In the books of Ezekiel, Daniel and Nahum, Libya joins forces with Egypt, Gog and Tyre against Israel in the end of days, and falls. כִּי-קָרוֹב יוֹם, וְקָרוֹב יוֹם לַיהוָה: יוֹם עָנָן, עֵת גּוֹיִם יִהְיֶה. וּבָאָה חֶרֶב, בְּמִצְרַיִם, וְהָיְתָה חַלְחָלָה בְּכוּשׁ, בִּנְפֹל חָלָל בְּמִצְרָיִם; וְלָקְחוּ הֲמוֹנָהּ, וְנֶהֶרְסוּ יְסֹדוֹתֶיהָ. For the day is near, even the day of the LORD is near, a day of clouds, it shall be the time of the nations. And they shall take away her abundance, and her foundation shall be broken down. Ethiopia, and Put, and Lud, and all the mingled people, and Cub, and the children of the land that is in league, shall fall with them by the sword. In other words, Libya plays a major role in a final showdown between Israel and her enemies. So far, Qaddafi's rule has included harsh rhetoric and endorsement of terror, but what lies ahead? One thing is certain: the Arab world is reshuffling, and democracy is only one scenario among many better suited to address centuries of Arab longing to regain influence on the world stage. Any country that in the current environment in the Middle East--in which Israel faces a double threat on its Northern border from Hezbollah, its southern border with an Egyptian unrest, and now, a triple threat from Iranian warships seeking to cross Suez for the first time in 30 years--any country in which THIS environment chooses to craft a security council resolution condemning Israel for settlement building, is either deeply morally and geopolitically misguided or extremely weak in the international Arab-dominated arena. Several days ago, this blog commented on NYT columnist Tom Friedman, who has called Israel's settlement building 'madness'. (He also called claims that justify terrorism in places like London 'outragerous', but failed to issue the same strong moral language regarding Palestinian murder). The current US administration is now buying into the world's dysfunctional moral compass, which views threats against Israel from North, South, East and West as understandable, while Israelis building bedrooms, schools, hospitals, universities and synagogues is suddenly the world's threat to world peace. Only Hashem can help us in a state in which the world's moral compass is corrupt. The song above was sung by a group of schoolchildren outside of the Old City on Passover 5770 (2010). The words are: And that which stood for our ancestors and for us, for not only one stood against us to destroy us, but the Holy Blessed One saves us from their hands. Right now it seems like the only ally Israel has are the speakers (and their supporters) from the most recent CPAC conference in Washington, in which 2012 Republican candidates made remarks on the current fashlot (Israeli world for debacles) of US foreign policy, the embarrassingly misguided US response on Egypt, the shame of US' abandonment of Israel and the wisdom of Israel's foreign policy assessments, which are currently the bastion of realism in international relations. In another rare exhibition of realism and moral integrity, Harvard professor Niall Ferguson praised last week's Herziliya Conference which took place at the Interdisciplinary Center in Israel, in which world leaders and experts shared views and visions on the future of the region. Ferguson implied that while the US is blinding itself with wishful thinking, the Israelis are doing the hard work of shaping real policy. The U.S. informed Arab governments Tuesday that it will support a U.N. Security Council statement reaffirming that the 15-nation body "does not accept the legitimacy of continued Israeli settlement activity," a move aimed at avoiding the prospect of having to veto a stronger Palestinian resolution calling the settlements illegal. But the Palestinians rejected the American offer following a meeting late Wednesday of Arab representatives and said it is planning to press for a vote on its resolution on Friday, according to officials familar with the issue. The decision to reject the American offer raised the prospect that the Obama adminstration will cast its first ever veto in the U.N. Security Council. The U.S.-backed draft statement -- which was first reported by Al Hurra -- was obtained by Turtle Bay. In it, the Security Council "expresses its strong opposition to any unilateral actions by any party, which cannot prejudge the outcome of negotiations and will not be recognized by the international community, and reaffirms, that it does not accept the legitimacy of continued Israeli settlement activity, which is a serious obstacle to the peace process." The statement also condemns "all forms of violence, including rocket fire from Gaza, and stresses the need for calm and security for both peoples." Iranian warships are headed for the Suez Canal and are expected to cross it late Wednesday night (Israel time). No Iranian vessel has passed through Suez since the Islamic Republic was established in 1979. Under Mubarak, Egypt did not allow Iranian ships through Suez. Now that Mubarak is gone, there isn't exactly anyone with the reins in Egypt who is concerned for Israel's security enough to tell Iran what to do. The free passage of Iranian ships through Suez would signify a major shift in Middle Eastern geopolitics and the first clear evidence that the new Egypt is dangerous for Israel, the region and the world. UPDATE (21:20 Thursday Israel time): According to YNet, Egypt's Foreign Ministry has confirmed that two Iranian naval vessels have submitted a request to transit the Suez Canal. According to the Jerusalem Post, a Suez Canal official said the Defense Ministry would process the application (read: the Defense Ministry has to figure out who it currently is, whether it is more hostile to Iran or to Israel, and whether it wants a major confrontation with the World of the Free). 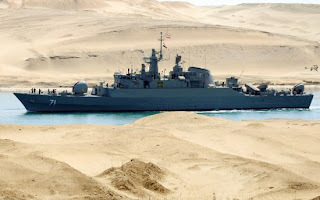 UPDATE (18:00 Thursday Israel time): According to INN, Iranian state television reported Thursday that the two Iranian warships are still heading for the Suez Canal. Senior Iranian official: "We are in contact with out colleagues in Cairo to insure the passage of the vessels. The Egyptian authorities said there is no bar to the passing of the ships." UPDATE (15:00 Thursday Israel time): According to a senior canal official, the Iranian vessels have withdrew a request Thursday to pass through the Suez Canal after Israel expressed concerns over the plans. The ships are currently near the Saudi Red Sea port of Jiddah. Were the ships just a way for Iran to distract the world's attention from reports of the regime's violent suppression of democracy protests, using its favorite scapegoat, Israel? UPDATE (22:00 Wednesday Israel time): The director of transit at the Suez Canal Authority said that the passage of any warship through the canal requires approval from the Egyptian ministry of Defense (um, does that currently exist??) and from Egyptian security officials (ditto) 48 hours in advance, and that no such request has been received nor granted, according to Al Jazeera. More importantly, according to the Arab news network, the Suez canal official said that under current international treaties, Egypt cannot prevent passage to vessels of any country unless it is in a state of war with that country. In other words, Egypt cannot do a thing to Iran's vessels without itself provoking war. 1) Crossing from the Arabian Sea to the Red Sea (Yam Suf in Israel and in the Bible, this was the sea that split for the Jewish people and drowned the Egyptians). 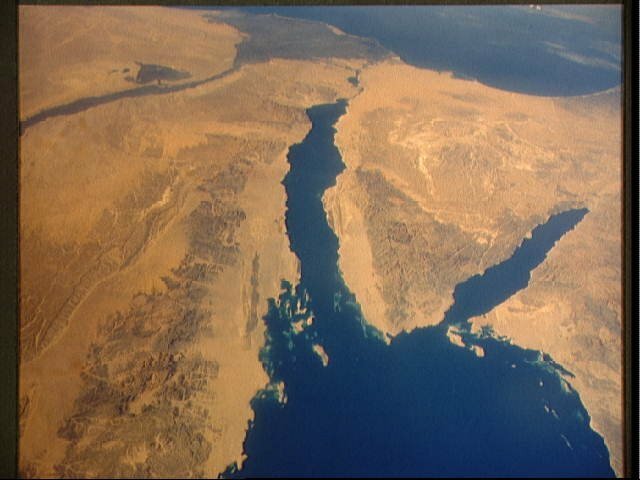 The Red Sea runs between Saudi Arabia and Egypt, and its northern side borders Sinai. 2) Entering the Suez Canal, which connects the Red Sea to the Mediterranean Sea. Almost all Israeli wars have involved some struggle around Suez. It's worth googling Suez Canal on a map just to see how narrow the canal really is. 3) Entering the Mediterranean Sea, which leads to Syria. All of Israel's coastline borders the Mediterranean sea. It is very unlikely that Israel will let Iranian ships sail in the Mediterranean, as Lieberman hinted today. However, according to Israel's treaty with Egypt, it cannot currently attack a ship in the Suez canal without breaching the treaty, since the canal borders Egypt and Saudi Arabia. Which means Israel will probably wait to attack the ships as soon as they enter the Mediterranean. Yet the sooner Israel attacks the ships, the closer they are to Egypt, where the reaction to an Israeli strike in its waters may not be a welcome act for the new regime. Today Israeli FM Lieberman called the Iranian act a "provocation" and called for the international community to understand that "Israel will not be able to ignore these provocations forever." These comments were interpreted by many as an Israeli hint that it would retaliate, and right after Lieberman's comments went public, fears of more mideast tumult spiked oil prices worldwide. Brent crude hit a 29-month high after rising to $104.52 around noon EST. 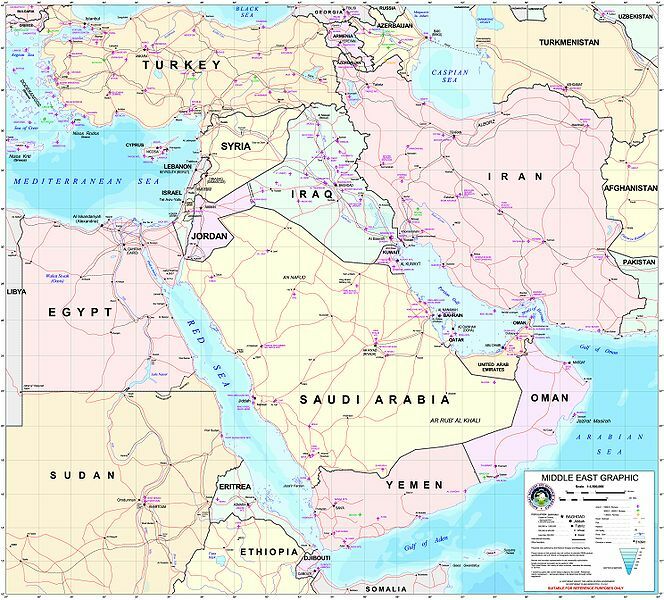 Meanwhile, in the U.S., the Obama administration is trying to figure where the Suez Canal is and what it has to do with getting to Syria. Energy secretary Steve Chu said today: "I think we have concern. We certainly want stability in the Middle East." Read more on Atlas Shrugs on how Israel cannot save the world alone.